How to Remove Coffee Stains: 8 Ways to Get UGLY Stains OUT! Honestly, we can’t say enough great things about coffee. Coffee is great for weight loss, has quite a few health benefits, and boasts a wide variety of flavor profiles depending on the roast. But the same can’t be said for coffee stains. Coffee doesn’t play very nicely with either fabrics or our teeth. It leaves our teeth looking yellow and leaves a very visible dark stain on your new dress shirt. That goes double for that new nylon-based, chiffon blouse you got at the brand name department store. And since those of us in the United States consumed over 3.2 billion pounds of coffee in 2018, the demand for teeth-whitening products has also increased. Fortunately, there are quite a few ways to remove coffee stains from your clothes and teeth. Want to see how to remove coffee stains? Here are the best ways to keep your smile bright and stain-free. 1 Why Does Coffee Stain? Click the following links to jump to the appropriate section. In order to combat stains on our clothing and teeth, we need to first understand why coffee stains are so hard to remove. Just like tea, coffee contains both dark pigments and acidic compounds. The chemical reactions between these two elements make fabrics and your teeth more susceptible to stains. Did You Know? Coffee is used as a natural dye for fabrics to achieve an antique look. First, the material is submerged in a pot of hot coffee and left to steep. Then, to set the stain, artists add vinegar to the solution, let the fabric soak, and set the stain by rinsing it off in cold water. On your teeth, coffee stains teeth because the tannins — acidic compounds found in both coffee and tea — break down into dark pigments. These pigments then become embedded in the tiny ridges and pits covering the surface of your tooth enamel. Just as in fabric, this can cause your teeth to become permanently stained if left untreated. The longer you let a coffee stain sit, the more likely it is to remain permanent. If you can, take steps to blot out the stain as soon as you notice it. If you treat the stain before it has had time to set, you can most likely use cold water to rinse the stain out. Let’s go into detail about each. If the stain is fresh, try these steps. Mix a bit of cold water with some laundry detergent and apply it to the stain. After about 5 minutes, gently blot out the stain with a damp paper towel. If the stain is pretty fresh, resist the urge to rub out the stain as this will only cause the stain to spread. If the coffee stain has been sitting for a while, you’ll need to put in a little more work to get the stain out. Apply the detergent-and-water solution to the affected area. Submerge the clothes in cold water and gently rub out the stain with your fingers every 5 minutes. If the stain is still there after 30 minutes, submerge your clothing in warm water for up to 15 minutes and then try rinsing the stain out again. Because coffee is slightly acidic, you may want to try using distilled white vinegar instead of cold water to help blot out the stain. First, try rinsing out the stain with cold water from the opposite side. Doing this will keep the stain from traveling further into the fabric. Next, apply dish soap to the stained area and rinse the soap out with distilled white vinegar. If the stain still doesn’t come out of the fabric, you may need to repeat these two steps up to seven times to remove the stain. They lift the stain away from the fabric. 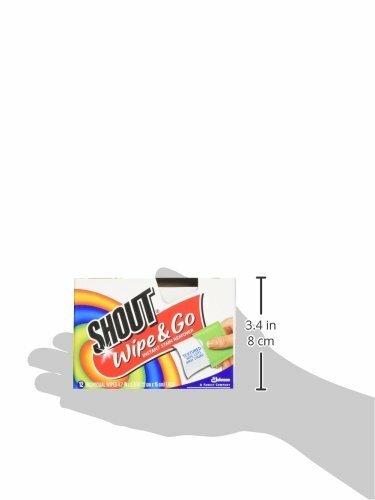 Though they are safe for most colors and types of fabric, try these wipes on an inconspicuous spot first. Then, apply the wipes to the affected area. If you have neither wipes nor distilled white vinegar, you can try using hydrogen peroxide to remove the coffee stain. Hydrogen peroxide, which is a weak acid formed from the chemical bond between two atoms each of hydrogen and oxygen, is used as a bleaching agent for both teeth and fabric. Check that the hydrogen peroxide won’t discolor the fabric. Rub it over the stained area and leave it on for 30 seconds. When time is up, rinse it out with cold water. If the stain is still there, reapply the hydrogen peroxide and leave it on for an additional 30 seconds. Rinse it out and reapply if the fabric is still stained. Repeat until you’re satisfied with the results. If the stain has been left to set into the fabric, you’ll need to mix your hydrogen peroxide with a little dish soap before performing the above steps. Doing these things will keep your teeth in great shape. 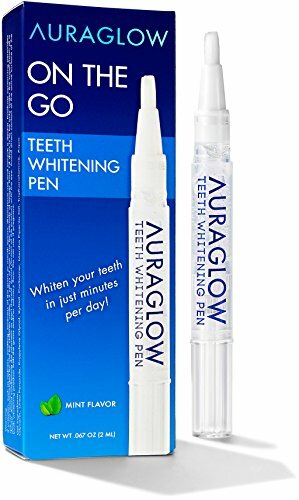 If you need a convenient, portable teeth whitening solution, the AuraGlow Teeth Whitening Pen may be a good choice. Twist the tube to apply gel onto the brush. Smile and paint each tooth with gel. After 1 minute, relax your smile and refrain from eating or drinking for 1 hour. AuraGlow’s teeth whitening gel contains 35% carbamide peroxide, which brightens teeth faster than hydrogen peroxide. Plus, the flexible brush makes it easy to evenly apply the gel in the natural ridges and pits on your teeth. 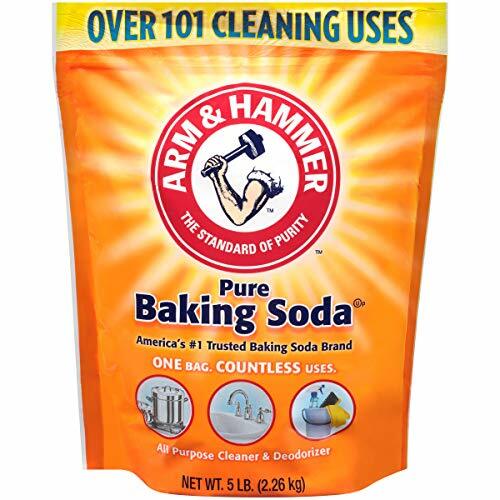 If you’d rather brighten your smile with a natural method, try baking soda. For best results, do this 3 times a week. Another all-natural method to removing stubborn coffee stains from teeth is apple cider vinegar (ACV). The acetic acid in ACV helps break down plaque and remove surface stains, while ACV’s other probiotics work to rid your mouth of harmful bacteria. Here’s a video of a certified dental assistant talking about why apple cider vinegar is effective in whitening teeth. Fill a small cup with apple cider vinegar. Swish the apple cider vinegar around in your mouth for up to 2 minutes. Rinse your mouth out well with water. As the acid can potentially damage your tooth enamel over time, don’t forget to perform that last step. OK, before you stop reading, hear us out. To be clear, activated charcoal is not the same as bricks of charcoal you’d normally use for your summer barbecue. Instead, carbon, together with other gases, undergoes activation under intense heat. This heat causes the surface area of the carbon to increase. It’s this increased surface area which makes activated charcoal excellent for absorbing toxins and impurities. Serve as a natural way to purify water. 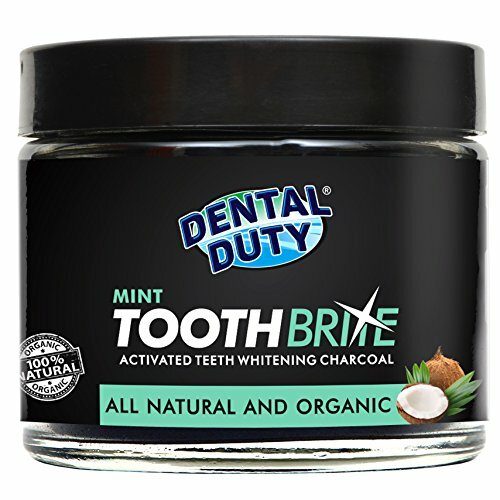 Though you can buy activated charcoal toothpastes, one of the best ways to whiten your teeth is with a natural activated charcoal powder like this one. Pro Tip: You may want to use activated charcoal in the shower as it can be pretty messy. Also, dedicate a toothbrush specifically for this as the activated charcoal will blacken your toothbrush. Dampen your brush with water. Brush your teeth normally for up to 2 minutes. Rinse your mouth out thoroughly. Brush your teeth with normal toothpaste to get rid of any remaining charcoal. Rinse your shower or sink out well. Now, it’s your turn. Have you tried any of these methods? Do you have any additional suggestions for how to remove coffee stains? Let us know in the comments below.